Welcome to the Siesta Key island lifestyle. Walk or ride your bike to the beach, take the free trolley into the village. 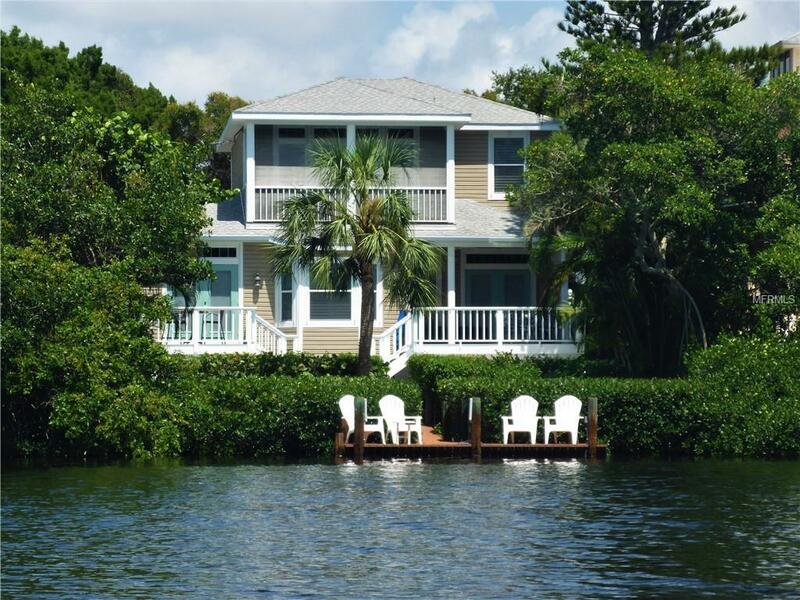 Located on the residential end of the Key, this home is located on Heron Lagoon and is the only waterfront location on the Key that offers both tranquility and privacy. Residents enjoy exclusive access to the two mile long lagoon with no through boat traffic, its the perfect location for paddle boarding, kayaking and fishing. This Ringling School of Art and Design Architected home offers granite counters, solid oak flooring, plantation shutters, French doors, crown molding and space to add an elevator. The open circular first floor plan with designer kitchen at the hub is ideal for entertaining. Relax with a quiet morning coffee on the balcony off of the spacious master suite or take in spectacular sunset views from the dock, pool, or any of the three decks. High SEER HVAC, energy efficient appliances, Bio-Foam insulation, along with high efficiency pool pump equals low energy cost. Meticulously maintained and move in ready. One mile in either direction to Turtle or Crescent beach. Sarasota is ranked the top 5th best small city by Conde Naste. #1 quartz sand beach, top schools, vibrant arts and culinary scene. Luxury primary or second home. Good investment property with VRBO rental history. Option to purchase turnkey furnished.